HaKyria, Camp Yitzhak Rabin, Tel Aviv, Israel. 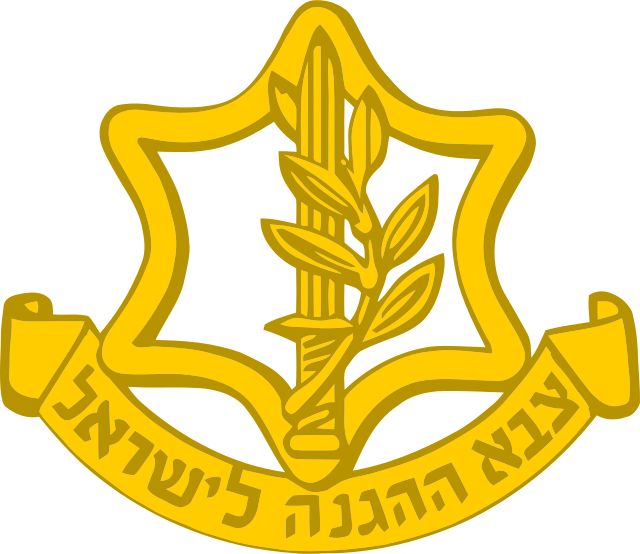 The Israeli Military was officially established right after the founding of Israel on May 31st, 1948, and included pre-state Jewish paramilitary organisations (the Haganah, Palmach, Irgun and Lehi). The institution significantly developed in the first decades of the Israeli self-proclaimed statehood, by means of effective organisation, manpower and supply advantages, with the aim of ensuring the survival of the country and its people. Indeed, with the first Arab-Israeli war (May 1948-July 1949), the Israeli Military fully took on its role of “ defense”, and what will later be encapsulated by the Israeli political elite as “survival”. The Israeli Military’s primary goal is to ensure the survival of Israel. As stated on its website, its aim is “to defend the existence, territorial integrity and sovereignty of the state of Israel; to protect the inhabitants of Israel and to combat all forms of terrorism which threaten the daily life.”4 Within the constructed Jewish-Israeli identity, all threats to the country are construed as existential, and all endeavours undertaken by the Israeli Military are hence seen as affecting the survival of the “nation”. Beyond the military purposes of the Israeli Military, and its role as an instrument of foreign policies, over the years it has also served as an educational tool for the population: an agent of social integration. As envisoned by Ben Gurion, the Israeli Military has become a “school of the nation”.5 This role was essential in regards to the high immigration to Israel in its first years of existence, and the need to create a very cohesive state within a region hostile to its very being. Since its creation, the strategy of the Israeli Defense Forces (IDF) has been based on the concept of “no choice wars”, thus legitimising its use of force, in whatever proportions. This idea is encapsulated in its name: the “defense”forces. Indeed, the Israeli Military's strategy is based on the premise that the country cannot afford to lose a single war. This explains its high reliance on the concept of deterrence and the centrality of its nuclear strategy, as will be discussed thereafter. As officially claimed by the institution, the strategy of the Israeli Military has always been one of defense, and does not encompass territorial ambitions.6 However, following the 1978 Camp David Accords, the strategical neutralisation of Egypt largely reduced immediate threats to Israel’s survival. Before the 1980s, Israel’s environment was hostile but predictable, following that decade Israel’s enemies were divided between over-the-horizon threats (i.e. Syria and Iran) and low-end threats stemming from non-State armed actors (e.g. Hezbollah and the PLO). With these challenges in mind, the Israeli Military’s strategies evolved so as to fit an “anti-war” form,7 a trend significantly visible during the First Intifada, when the Israeli Military was largely unprepared for the large-scale civil resistance it faced and its sophisticated weaponry lost all value.8 Another strategic reorientation followed the Lebanon war of 2006, as the Army drew lessons from its relative “failure”, and the “Lebanese traumatism”. This was visible in Gaza, as soldiers and tanks avoided entering the enclave to avoid being “trapped” like in Southern Lebanon. The security strategy of the IDF has not per say been institutionalised as to remain flexible. However, several fundamental strategic principles can be identified. Due to the economic, geographical and demographic disparities between Israel and its neighbours, a high emphasis has been put on quality rather than quantity. The principle of the “red lines” has also been noticeable in the Israeli Military’s undertakings - the latter serves to identify events regarded as critical that prompt swift and belligerent reactions from the Israeli Military. According to the Israeli Military’s website, the latter is divided according to two functional and organisational systems: the operational system, and bi-functional systems comprising the professional and institutional system. The Chief of General Staff and its subordinate Chief of Staff hold the highest hierchical roles within the organisational structure of the Israeli Military. The Israeli Defense Forces are thereafter divided into several forces: the ground forces, the naval forces, the air forces and the police forces. The Directorate of Military Intelligence, Aman, also falls under the direction of the General Staff. the reserve forces which constitute the bulk of the army's forces. The influence of the Israeli Military extends over the whole territory considered by the Israeli regime as the sovereign territory, keeping in mind that the country’s borders remain contentious. The Israeli Military possesses strong external communication tools through their website, blog, presence on social media,23 army radio, and most importantly the spokesperson’s unit. Today, the Israeli Military is present on all kinds of social networks (Twitter, Facebook, Instagram), and diffuses its messages in Hebrew but also English, Arabic, French, Russian, etc. Regardless, the Israeli military establishment has been a central pillar in the nation-building process of the country. Indeed, Israel has been framed by its leaders as the archetype of the “nation in arms”. Militarism is hence a central organisational principle in a country where “citizens are soldiers on eleven-month annual leave”, as was held by establishment’s first Chief of Staff, Yigal Yadin. As exemplified by the aforementioned three-tier system, and the socialisation and integration roles of the Israeli Military, no barrier exists between the civilian and military spheres. Rather, both spheres feed into each other in the sense that Tsahal has often been qualified as a breeding ground (but most importantly a socialising and networking ground) for the country’s elite. Indeed, it is interesting to note that the overwhelming majority of Israel’s political leaders come from the military and its leadership. With its regional environment perceived as highly hostile, and its need to compensate for its demographic inferiority, the military might of the country, embodied in the Israeli Military, has always been considered as essential to the survival of the nation and its people. With this in mind, the Knesset passed the Defense Service Law in September 1949,28 establishing universal conscription the all Israelis and centrally aimed at developping Israelis’ fighter ethos. By basing the Israeli Military on mass conscription, citizenship and soldiering are institutionally linked in Israel.29 The continuum between the Israeli civilian and military spheres, and the consensus regarding the need for such a strong military apparatus were reinforced by the Israeli Military’s successes in the battlefield. Given the extent of civil-military relations in Israel, and the cognitive militarism characterising the country,30 it is essential to understand the dynamics of the Israeli Military to fully grasp the role of Israel in regional politics. The Israeli Military has been very much affected in its development and undertakings by the concept of the “no choice war”; a fatalistic perception of war as inevitably imposed upon Israel, that can be framed as cultural militarism.31 This concept has arguably been used as a means of legitimisation for the recourse to military force to solve political issues. Furthermore, the national solidarity which stems the central goal of the Israeli Military of ensuring the survival of the community - i.e. a “country under siege” situation -32 indicates the level of credibility of the Israeli Military, especially in the early years of Israel. 1. NB: Also known as the Commander-in-Chief of the Israeli Military. 2. “Past Chiefs of Staff”, Israeli Defense Forces website, available at: http://www.Israeli Military.il/1502-en/Dover.aspx [last accessed March 30th, 2015]. 3. “Israeli Military Spokespersons Unit”, Israeli Defense Forces website, available at: http://www.Israeli Militaryblog.com/about/Israeli Military-spokespersons-unit/ [last accessed March 30th, 2015]. 4. “Israeli Military Doctrine”, Israeli Defense Forces website, available at: http://www.Israeli Military.il/1497-en/Dover.aspx [last accessed March 30th, 2015]. 6. “Israeli Military Doctrine”, Israeli Defense Forces website, available at: http://www.Israeli Military.il/1497-en/Dover.aspx [last accessed March 30th, 2015]. 7. This is conceptualised as a situation in which the use of force can no longer be described as a continuation of politics, which results in a reversal of the Clausewitzian situation as the force which uses the greatest amount of power is more likely to lose. 8. Aaron Bregman, Israel’s Wars: A History Since 1947, London and New York: Routledge, 2002. 10. Efraim Inbar, “Attitudes Towards War in the Israeli Political Elite”, Middle East Journal, Vol. 44, No. 3, 1990, p. 431. 11. Chris Hedges, “The Psychosis of Permanent War”, Journal of Palestine Studies, Vol. 44, No. 1, Special Issue: Operation Protective Edge, Autumn 2014, pp. 42-51, available at: http://www.jstor.org/stable/10.1525/jps.2014.44.1.42 [last accessed March 30th, 2015]. 12. NB: It should be noted that Israel, as argued by Avner Cohen, relies on the concept of "nuclear opacity" in that it clearly possesses the nuclear power while denying the existence of its weapons. For more about Avner Cohen, see: “The Avner Cohen Collection”, Wilson Center, available at: http://www.wilsoncenter.org/publication/avner-cohen-collection [last accessed May 11th, 2015]. 13. For more, see: Dimitry Adamsky, “Why Israel Should Learn to Stop Worrying and Love the Bomb”, Foreign Affairs, English, March 31st, 2012, available at: https://www.foreignaffairs.com/articles/israel/2012-03-31/why-israel-should-learn-stop-worrying-and-love-bomb [last accessed May 11th, 2015]. 14. Jean-Loup Samaan, Another brick in the wall: the Israeli experience in missile defence, Strategic Studies Institute, 2015, available at: http://www.strategicstudiesinstitute.army.mil/pdffiles/PUB1261.pdf [last accessed May 11th, 2015]. 15. Knesset Protocol (18/08/52), in Ben Eliezer, “A Nation-in-Arms: State, Nation and Militarism in Israel’s First Years”, Comparative Stuydies in Society and History, Vol. 37, No. 2, 1995, p. 274. 16. Peretz Kidron, “ Yesh Gvul: a uniquely Israeli innovation in the culture of protest”, Peace News, Issue 2247, June-August 2002, available at: http://peacenews.info/node/3882/yesh-gvul-uniquely-israeli-innovation-culture-protest [last accessed May 11th, 2015]. 17. “U.S. military aid to Israel exceeds $100 billion”, Hareetz, English, August 18th, 2014, available at: http://www.haaretz.com/news/diplomacy-defense/.premium-1.611001[last accessed March 30th, 2015]. 18. “Israel Army Equipment”, GlobalSecurity.org, English, available at: http://www.globalsecurity.org/military/world/israel/army-equipment.htm [last accessed March 30th, 2015]. 19. “Nuclear Weapons: Who Has What at a Glance”, Arms Control Association, February 2015, available at: http://www.armscontrol.org/print/2566[last accessed April 9th, 2015]. 21. It has been argued that not only was the Israeli Military in possession of DIME, armour piercing bombs and white phosphorous (amongst other internationally prohibited weapons under international humanitarian law), but that the military apparatus used such weapons inter alia in the summer 2014 Gaza conflict. “Military Expert: Israel is using three internationally banned weapons in Gaza”, Middle East Monitor, English, August 4th, 2014, available at: https://www.middleeastmonitor.com/news/middle-east/13218-military-expert-israel-is-using-3-internationally-banned-weapons-in-gaza [last accessed March 30th, 2015]. 22. Cluster bombs have arguably been used during the 2006 Lebanon War. Professor Paola Manduca, “New and unknown deadly weapons used by Israeli forces”, Global Research, August 8th, 2006, available at: http://www.globalresearch.ca/new-and-unknown-deadly-weapons-used-by-israeli-forces/2918 [last accessed March 30th, 2015]. 23. “Israeli Defense Forces”, Facebook, English, available at: https://www.facebook.com/pages/Israeli-Defense-Forces/116117948403163?fref=ts [last accessed March 30th, 2015]; “Tsahal-Israeli Military”, Twitter, English, available at: https://twitter.com/tsahal_Israeli Military [last accessed March 30th, 2015]. 24. NB: In less than a month of engagement, the losses amounted to more than 1,300 on the Palestinian side compared to only 13 losses on the Israeli side. 25. “Proche-Orient : l'armée israélienne, reine de la communication sur Internet”, Le Parisien, French, July 18th, 2014, available at: http://m.leparisien.fr/international/proche-orient-l-armee-israelienne-reine-de-la-communication-sur-internet-18-07-2014-4010787.php [last accessed May 11th, 2015]. 26. NB: even if, with regards to the strategies and tactics employed by the Israeli Military’s opponents the term “full-scale confrontation” might be questionable, the latter being encapsulated by the Israeli elites as threatening the survival of their nation, explains the use of this expression. 27. “Holocaust survivors condemn Israel for 'Gaza massacre,' call for boycott”, Hareetz, English, August 23rd, 2014, available at: http://www.haaretz.com/news/diplomacy-defense/1.612072[last accessed March 30th, 2015]. 28. NB: The Knesset is the Israeli Parliament. 29. Yagil Levy,Edna Lomsky-Feder and Noa Harel, “From “Obligatory Militarism” to “Contractual Militarism” - Competing Models of Citizenship” in Oren Barack and Gabriel Sheffer (eds), Militarism and Israeli Society, Bloomington, IN: Indiana University Press, 2010. 30. NB: cognitive militarism can be described as a situation in which strategic military considerations are treated as central matters in societal and political spheres. 31. Efraim Inbar, “The “no choice war” debate in Israel”, Journal of Strategic Studies, Vol. 12, No. 1, 1989, pp. 22-37. 32. Ben Eliezer, “A Nation-in-Arms: State, Nation and Militarism in Israel’s First Years”, Comparative Studies in Society and History, Vol. 37, No. 2, 1995, p. 266. 33. As such, from the 1980s throughout the 1990s Israelis could expect to “fulfill themselves not by serving in the army, but by serving their nation on the export front or the computer front”, as argued by Stuart A. Cohen, Israel and Its Army: From Cohesion to Confusion, 2008, London: Routledge. 34. Yagil Levy,Edna Lomsky-Feder & Noa Harel, “From “Obligatory Militarism” to “Contractual Militarism” - Competing Models of Citizenship” in Oren Barack and Gabriel Sheffer (eds), Militarism and Israeli Society, Bloomington, IN: Indiana University Press, 2010, p. 145. 35. UN Security Council Resolution 1701, available at: http://www.un.org/french/documents/view_doc.asp?symbol=S/RES/1701%20%282006%29&TYPE=&referer=http://www.google.com/url?q=http://www.un.org/french/documents/view_doc.asp?symbol=S/RES/1701%20%282006%29&Lang=E [last accessed March 30th, 2015].